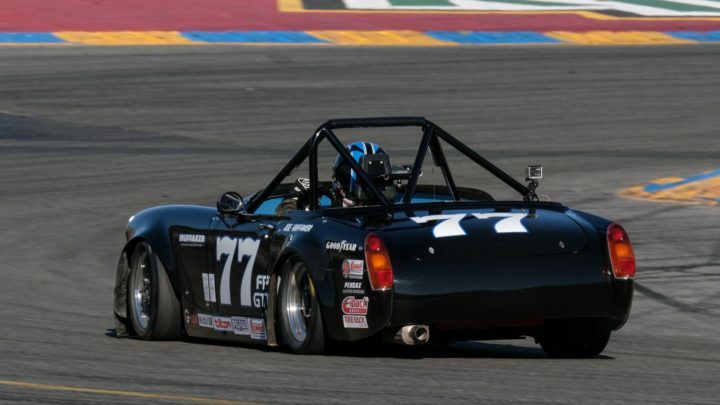 I had the pleasure to use and extensively test the newly released Fujinon XF200 f/2.0 LM OIS WR in October, 2018 while covering the Sports Car Club of America’s 2018 National Championships, also know as “The Runoffs” at Sonoma Raceway, Sonoma, CA, Oct 19-21, 2018. Fujifilm North America graciously sent me the Fujinon XF200 f/2.0 along with an X-T3 and battery grip for approximately 10 days for motorsports photography testing to compare to my Fujifilm X-H1. The purpose of the test was to collect autofocus performance data for both cameras when used in a real-world professional motorsports photography use-case, and for this weekend long test-session, I used the new XF200 f/2.0 exclusively, as well as the new 1.4X teleconverter in some situations. BACKGROUND: I’ve been a professionally accredited motorsports photojournalist for 15 years. I’ve was an official track photographers for Mazda Raceway Laguna Seca for 7 years, and have been shooting as an accredited photojournalist for Sonoma Raceway since 2003. I cover all their professional series races, including NASCAR, NHRA Professional and Indy Car, and my photographs have been published in numerous newspapers in the SF Bay Area, including the San Francisco Chronicle, as well as various motorsports websites and magazines. As Fujifilm’s first super-telephoto prime, the Fujinon XF200 f/2.0 LM OIS WR is very much a “statement lens”, indicating its Fujifilm’s commitment to the APS-C X-platform as well as a key addition to its professional lens portfolio. 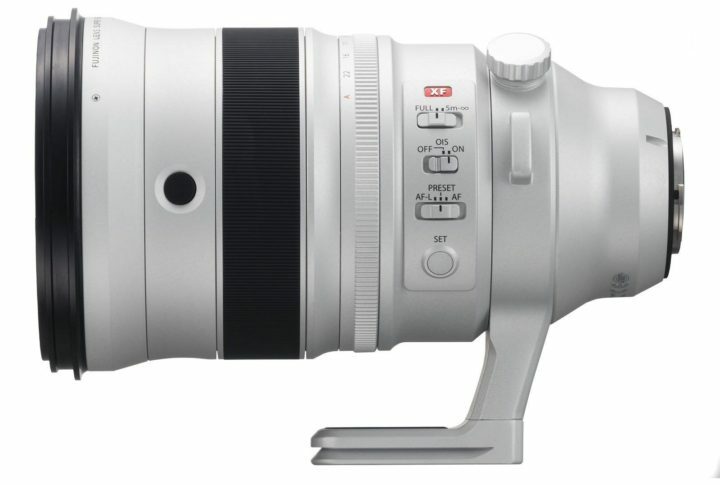 It is aimed squarely at photographers that require an APS-C equivalent to the classic 300mm f/2.8 prime telephoto that been de rigeur for many professional sports, photojournalism and wildlife photographers for decades. 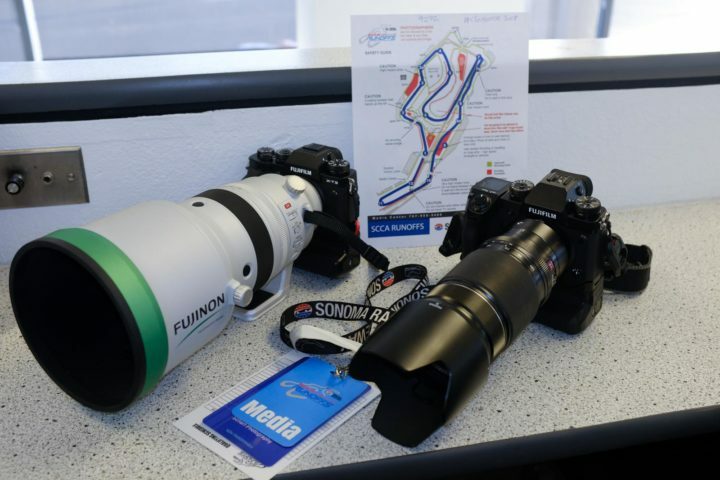 With respect to motorsports photojournalism, visit any racing circuit’s media center, and you will find such a lens on most, if not all, of the desks of racing photographers. Given its engineering specification, the Fujinon 200mm f/2.0 LM OIS WR is comparable in size and weight to the very well-regarded Canon 200mm f/2.0 and 300mm f/2.8 lenses, being almost exactly the size of the former*, and slightly smaller than the latter. At 4.98 lbs (2.26 kg), the Fujinon is the lightest of the three. While these differences may not seem like much in absolute terms, the 1.3lb (590 g) weight savings between a Fujifilm 200mm f/2.0 mounted on an X-H1 & grip over that of a Canon 1Dx MkII (the body predominantly used with Canon super-telephotos) and 300/2.8 can really add up over the course of a long, hard 3-day weekend, especially when you are on your feet shooting for 5 to 6 hours a day. All the major camera and lens manufacturers make zoom lenses that cover this focal length, such as the Fujifilm XF100-400mm f/4.5-5.6 LM OIS WR, etc., so its logical to ask: why do we need long, fast, prime telephotos that cost $5,000 or more? The answer is simple: performance and optical image quality. There simply is no zoom that can match the functional performance, AF responsiveness, lens speed, and outright image quality of a super-telephoto prime. Knowledgeable photographers know that most zoom lenses, due to the compromises that must be made to accommodate a range of focal lengths, cannot match the outright optical performance of a fixed focal length prime, and this is even more the case for super-telephoto lenses, where zooms must cover the largest range of focal lengths. The engineering requirements and optical tolerances for longer focal lengths are considerably more demanding because of larger and more massive lens elements, number of lens groups, and the impact of factors such as chromatic aberration, geometric distortion, lens flare, and even thermal expansion of lens elements due to heating of the lens barrel. For example, some of the optical tolerances for the Fujinon 200mm f/2.0 must be held to less than 0.1 microns (less than 1/10,000th of a millimeter). Building a prime focal length lens rather than a zoom for these focal lengths allows optical engineers to optimize the design and performance of a lens with more ideal properties and fewer compromises. Prime super-telephotos generally have larger maximum apertures than zooms of the same focal length, which not only provides a shallower depth of field for isolating the subject from the background, but also presents a much brighter image to the sensor, which has a significant, positive impact on autofocus performance, particularly in lower light, e.g. indoor or night sporting events. The larger maximum apertures also allow for the use of teleconverters to increase focal length without adversely impacting lens speed or autofocus performance. Having photographed professional motorsports for well over a decade with a Canon 300/2.8, the Fujinon 200/2.0 feels right at home in many respects. It is a large, heavy, and robust lens that is exceptionally well-made. The lens is made of a magnesium alloy and is beautifully finished in a matte silver-white color that appears to be anodized or powder-coated, and is more durable and resistant to chipping than the painted finish on Canon lenses. The color is utilized to prevent overheating of the lens barrel as fluorite lens elements are particularly sensitive to thermal expansion. There is a detachable lens hood in matching finish made of a composite material that is secured to the main lens barrel by a large anodized aluminum knob and clamp. Three switches on the left side of the lens invoke the focus range of the lens, the OIS system, and the focus preset switch. The lens has a rubber-covered focus ring as well as buttons that work in conjunction with the focus preset switch to instantly rack focus to a preset position. There is deeply knurled metal aperture ring set aperture value or A-priority mode, and the aperture ring moves precisely with well-defined 1/3 stop clicks. Behind the main controls is a lens tripod mounting foot attached to a collar. 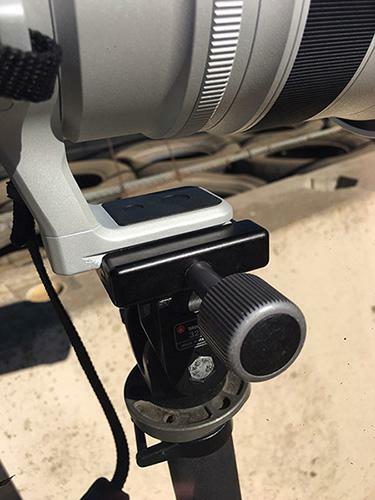 The collar and mounting foot position can be rotated by loosening a tension knob; and there are large mounting bosses for attaching a lens strap to safely carrying the lens. The hood reverses when not in use and the front element is protected by a large plastic lens cap. The front element has a fluorine coating for better durability and accepts a 105mm screw-in filter. The lens utilizes 5 linear motors for fast, silent, and precise autofocus, and has optical image stabilization that provides 5 stops of stabilization. The lens also comes with a newly designed and matching 1.4X teleconverter that was specifically designed for the fast aperture of this lens. Installing the teleconverter reduces the lens’ maximum aperture by one stop to f/2.8. The lens also has weather sealing at 17-points, and temperature tolerance as low as 14°F/-10°C. One of the nice features is that the lens foot has been milled to accept an Arca-Swiss style clamp. This makes it easy to clamp the lens onto a monopod or tripod with an Arca-Swiss or Really Right Stuff (RRS) clamp. For this review, I used the lens entirely on my carbon fiber monopod and RRS clamp. This made is easier to manage the lens when shooting for a long day at the track as well as providing stability. 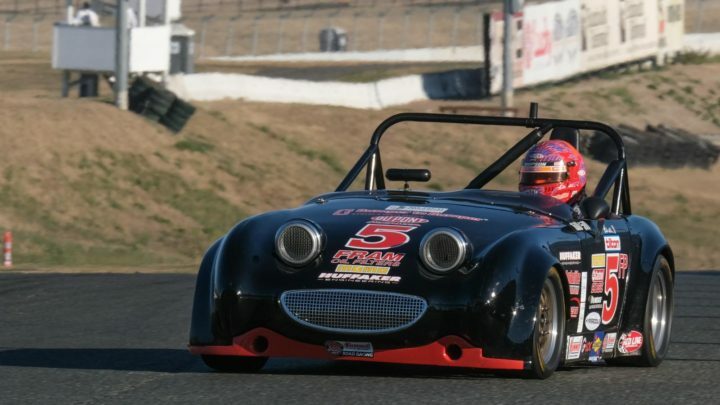 For testing the new Fujifilm X-T3 and X-H1 in shooting conditions controlled as much as possible to minimize differences and variance, so the various classes of racing cars were photographed with both cameras so that there was no significant differences between speeds of cars for each camera for each class being photographed. As each race was 40 minutes long, I shot for approximately 15-20 minutes for each camera, switching the lens between camera bodies. The first things that come to mind the moment you attach this lens to an X-H1 or X-T3 is a superbly bright and clear image in the viewfinder. The large front element and maximal aperture brings a lot of light in to the viewfinder, and there’s nothing quite like looking through a fast, bright super telephoto, and the view through the Fujinon f/2.0 is, in a word, stunning. Set to wider apertures, e.g. f/2, f/2.8, etc., the lens produces a sharp and focused subject with a superbly smooth, soft and seamless background bokeh. Stopping down produces a incredibly sharp and crisp image within the aperture’s hyperfocal distance. The other attributes one notices immediately is the lens’ responsiveness and very fast autofocus performance. For motor racing photography, a continuous autofocus (AF) system and lens must perform three key functions: acquire, lock and track focus of very fast-moving subjects. This can be quite challenging with motor racing, because the subjects are often moving well at speeds in excess of 120mph (200 kph). Moreover, racing cars and motorcycles are not just moving at a constant velocity, they are almost always decelerating or accelerating into or out of a corner, respectively, and this is much more demanding use-case than, for example, tracking a bicycle rider riding straight at the camera at a constant velocity of 20 mph. The Fujinon 200/2.0 focuses faster than any Fujifilm XF lens I’ve used to date, and fully on-par with a Canon 200/1.8 or 300/2.8 used on a 1D-class body. Additionally, the autofocus performance is consistent across different AF settings and modes, e.g., using a selected single AF focus point on Custom Mode 4, or letting the Zone AF mode track the subject using Custom Mode 3. I tested the autofocus systems under different racing scenarios commonly encountered in motorsports photography, e.g., cars at traveling at constant velocity, exiting a high-speed corner with a low level of acceleration, exiting a low speed corner with a high level of acceleration, or decelerating (braking) while entering a slow corner, and tracking the car as it is going away from the camera while exiting a corner. Here are some examples of the Fujinon 200mm f/2.0’s performance in some of these use-cases, and you click on the included URL to see the image in higher resolution on Flickr (note: use the double “expand” arrows in the upper right corner to view the image at 2048 pixels wide). The cars shown in Fig. 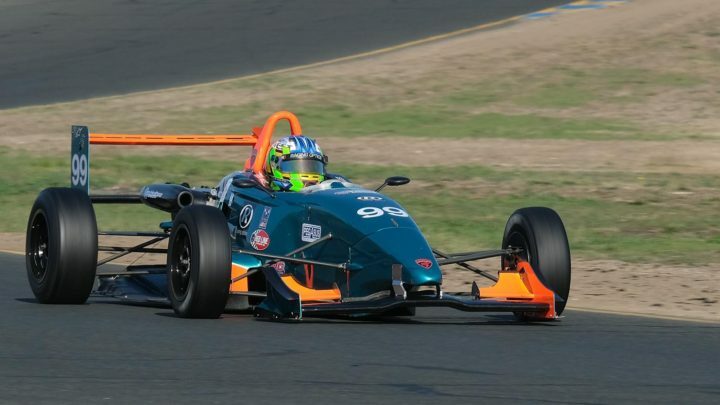 5 are Formula Continental race cars at traveling at constant velocity, through the Esses at approximately 100 mph (160 km/h). 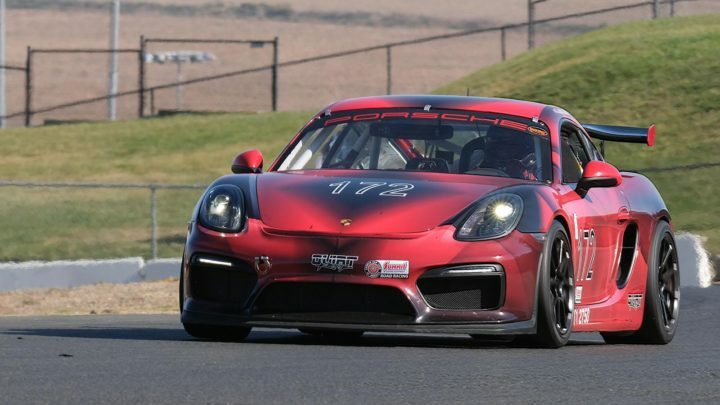 The next photo is at Turn 10, the fastest corner at Sonoma Raceway; cars enter this corner at very high speed, brake minimally, and thus exit at high speed. This is an example of a high-speed entry, high speed exit with a concomitant low level of acceleration. The Fujinon XF200/2.0 deals with this scenario well, nailing focus on the B Sedan class winner as he exits Turn 10 at over 100 mph (160 km/h). 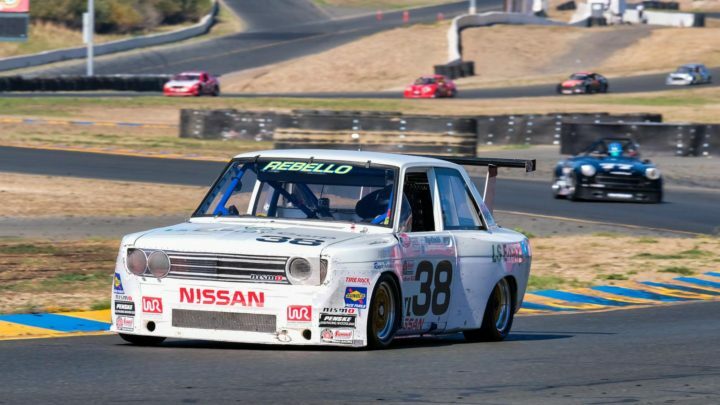 One of the most challenging racing scenarios is actually a low-speed corner, where cars have to slow significantly for the corner. This scenario is actually more challenging than the high-speed corner entry/exit because the rate of acceleration out of the corner is much higher, and the camera and lens have to keep up with this rapid change in velocity over a short interval of time. The Fujinon XF200/2.0 also works exceptionally well in the same scenario as above using the supplied 1.4X Teleconverter, giving an 35mm effective field-of-view of 420mm at f/2.8 with superb sharpness, contrast and color. This is literally like having a dedicated 400mm f/2.8 prime, but at about 1/2 the weight and bulk (and if you’ve ever had to schlep a 400mm f/2.8 prime telephoto around a race track, you’ll know what I mean). 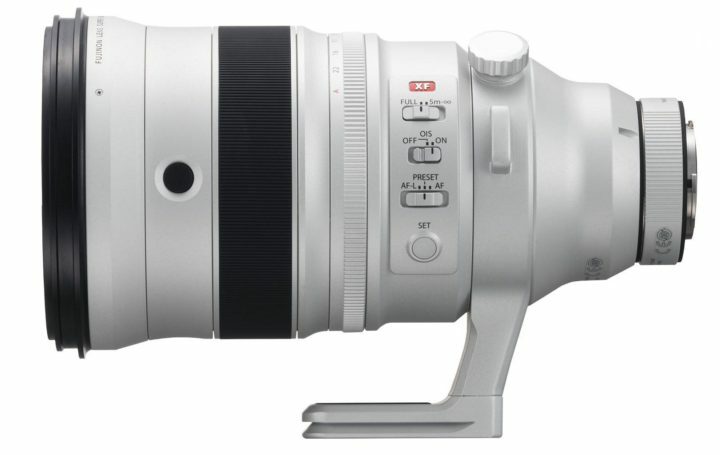 For the price of one lens, you can effectively have a 300mm f/2.0 and a 420mm f/2.8. Brilliant. One of the situations where single-spot AF works better than zone AF is when cars are under braking for a slow corner. This is the easiest scenario for the camera and lens to function with respect to AF, as cars are losing speed approaching the camera. The last scenario, and the most challenging in motorsports photography, is a “going away” shot of a car from behind, with the car rapidly accelerating AWAY from the camera. 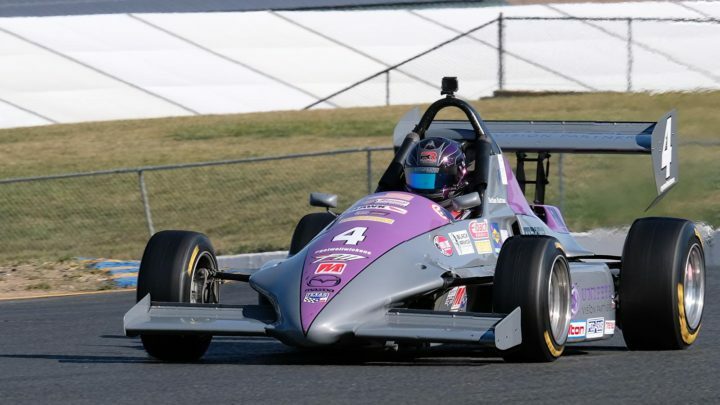 While camera’s AF systems perform well with subjects approaching the camera, most (including professional level Canon and Nikon DSLRs) cameras struggle with maintaining autofocus lock and tracking with a racing vehicle rapidly accelerating away from the camera. Here again, the X-T3 and XF200 does well, maintaining focus lock and tracking while the car is exiting the corner. Lastly, the Fujinon XF200 is a not just for sports or motor racing photography, but a superb lens for wildlife photography as well. 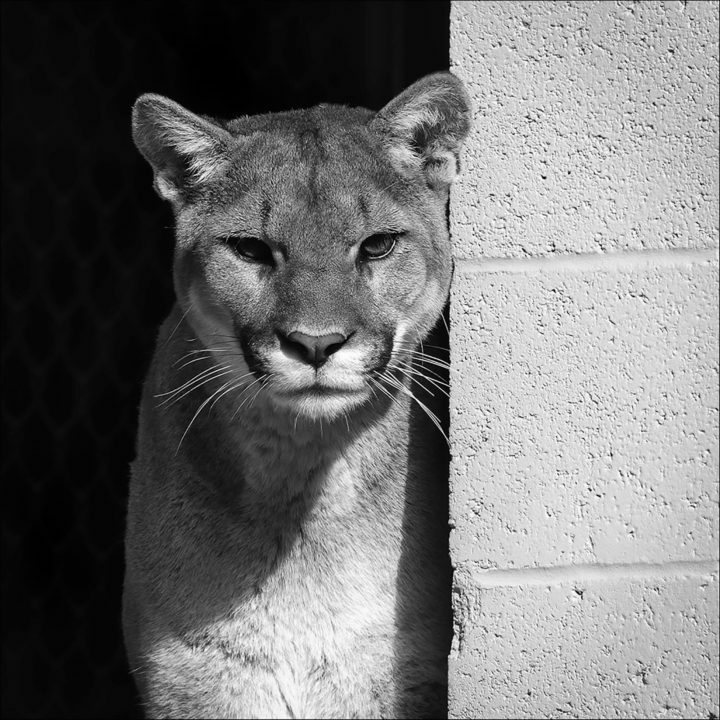 Here is a portrait of Coloma, a beautiful female mountain lion, of one of three siblings that were rescued as cubs by the Oakland Zoo in Oakland, California almost exactly a year ago, December 2017. Mountain lions are indigenous to the Western United States and numerous in unpopulated Northern California hills and canyon lands. I’ve saved my comments about this lens functional and optical performance to this last section so as to summarize my experience and results as succinctly as possible. And the truth of the matter is, its very hard not to use superlatives with respect to the Fujinon XF200mm f/2.0. The lens performs superbly in demanding professional use-cases, it is superbly engineered and manufactured, and in real-world use very responsive and fast, fast, fast. This lens presents a big, bright image in the viewfinder and has the fastest autofocus of any Fujifilm lens I’ve ever used, and absolutely on-par with Canon super telephotos. While its undoubtedly a big and heavy lens, it’s compact enough to handle easily in the field, especially on the X-H1 or X-T3 with the battery grips, and balances so perfectly that it sits on its tripod foot in perfect balance. The Fujinon XF200mm f/2.0 LM OIS WR mounted on the new Fujifilm X-T3. Note it sits perfectly balanced on the tripod foot on my desk in the Sonoma Raceway John Cardinale Media Center. My Fujfilm X-H1 and XF50-140 f/2.8 LM OIS WR sits nearby, both ready for action. At the end of the day though, it’s all about image quality. It sounds like hyperbole, but the first time I opened images from this lens on the Retina display of my Macbook Pro, I was gobsmacked: there’s no other way to say this accurately, but this lens produces absolutely stunning, gorgeous image quality. For the technically-minded, the MTF charts† on this lens beggars belief, but MTF charts are one thing, and photographs are another. And, this exceptional lens produces photographs with outstanding sharpness, color and color accuracy, contrast, micro-contrast, and acutance. 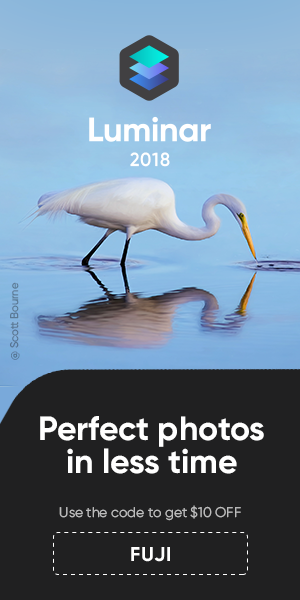 Its optical qualities render incredibly detailed yet completely natural-looking photographs with detail with superb gradation of color and tone. There is also superb falloff shot wide open with gorgeous bokeh. Jonas Rask, in his excellent review (https://bit.ly/2Le9acM) describes it better than I can: “Bokeh quality is gorgeous. Smooth, subtle, clean, close to perfection.” Even with the depth of field compression that comes from longer focal lengths, there is an almost three-dimensional quality to the images it produces. Jonas Rask has accurately described as the Fujinon XF200mm f/2.0 in one word: INSANE. And, having shot over 12,000 frames with this lens, I would have to agree. The Fujinon XF200mm f/2.0 LM OIS WR is the finest lens I have ever used.